more clear why God gave me you as my mother. a person I can truly trust. I can talk to you about anything and you'll listen. but you did it anyway because you cared so much. that anyone could ever have! 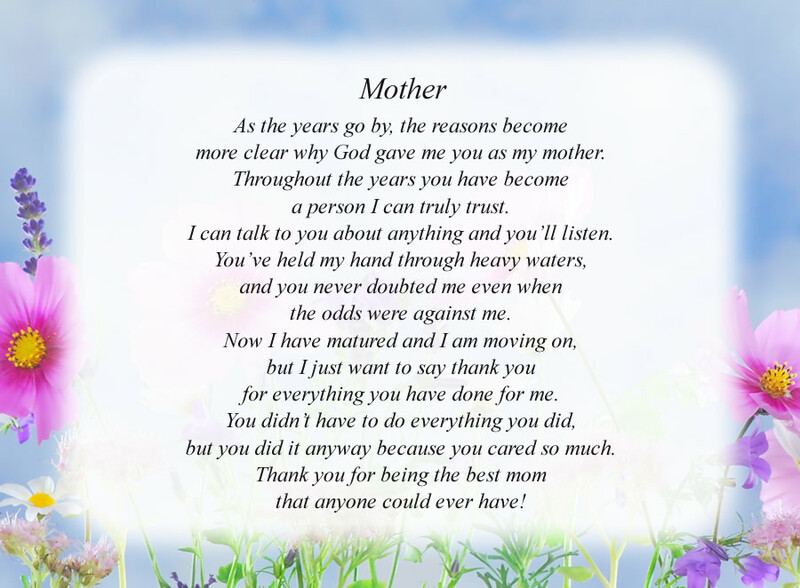 The poem, Mother(4), is free and printable by opening or downloading using one of the three links below.